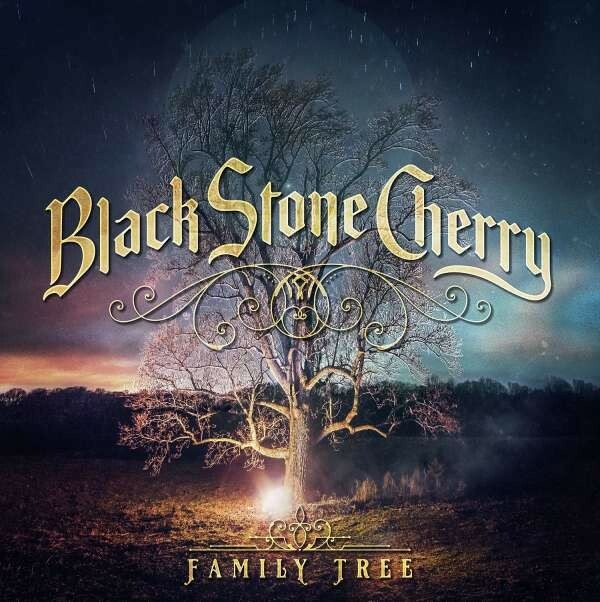 According to drummer John Fred Young, Black Stone Cherry's sixth full-length release 'Family Tree' showcases the band's own unique Southern American Rock 'n' Roll sound. I'm not sure if I'd call the sound unique, but they seem to have found a winning formula that encapsulates a number of musical influences from that part of the USA. 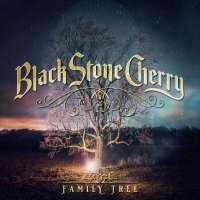 Each Black Stone Cherry album has had a sound slightly different to the previous one and that remains the case with 'Family Tree'. 2016's 'Kentucky' had a heavier groove than 2014's 'Magic Mountain', whereas 'Family Tree' seems to have tapped into the creative headspace the band were in when recording some old Blues standards for an EP in 2017. Chris Robertson (vocals/guitar), Ben Wells (guitar) and Jon Lawhon (bass) seem to share Young's enthusiastic description given the tried and tested lucky thirteen tracks feature song-writing contributions from each band member, plus a few ZZ Top riffs are borrowed in the process (unintentionally I'm sure). The songs include horn sections, Gospel organs, synthesizers and piano work, but the sound is never diluted and the ethos remains true throughout. There is a strut and bluesy swagger about 'Bad Habit', 'Ain't Nobody', 'You Got The Blues', 'Get Me Over You' and 'I Need A Woman', and these are sure to go down well when played live. 'Southern Fried Friday Night' could be Lynyrd Skynyrd doing 'White Trash Millionaire', whilst 'My Last Breath' channels the energy and vibe of 'Things My Father Said' as the only ballad on the album. Warren Haynes contributes vocals and guitar to 'Dancin' In The Rain', and this acts as a nice contrast to Robertson. The title track brings things to a close and features some extended soloing from Robertson, delivering the "family comes first" message along the way. 'Family Tree' was self-produced by the band and re-enforces the band's in-house work ethic. Black Stone Cherry formed in 2001 and I saw them play live for the first time in 2007. The last time I saw them was in 2016 when they were headlining a sell-out, ten thousand plus capacity arena tour. They have paid their dues on the road, yet their success still seems to be a mystery to Robertson, who says "...it's amazing to me how four good old boys from nowhere Kentucky can still be around seventeen years later".